Stephen Whittaker Is a New Zealand artist, currently residing in Paris. 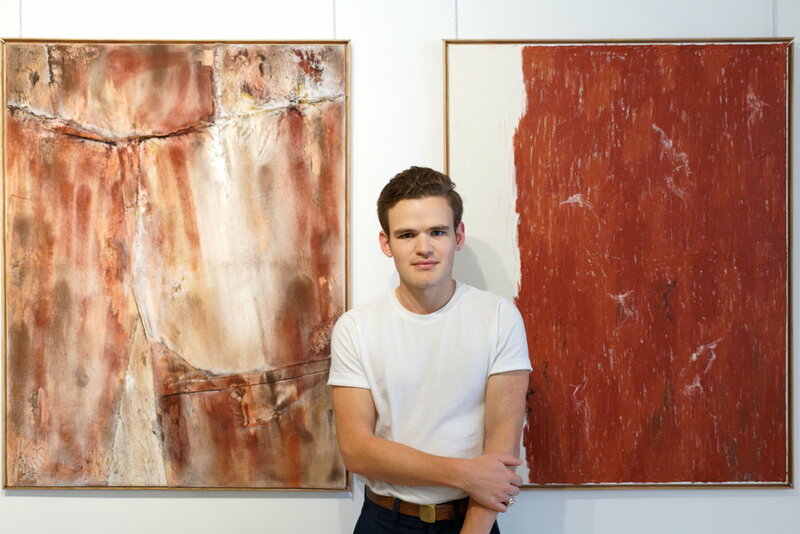 His recent work focuses on a correlation of natural elemental material and the dynamism of form. Prioritising the use of a reduced natural palette the process focuses on morphing the energy of abstracted primitive figuration and elemental colour study, often realised on a range of natural adaptable materials. His work is held in a number of collections including the Wallace Arts Trust in New Zealand. Exhibition of large scale works across two spaces with two other artists. Exhibition alongside an artist collective. Large oil works. Exhibition of 6 works produced in collaboration with a series of poems by William Cox.